Updated: 7:32 p.m. | Posted: 5:30 p.m.
Minnesota is one step closer to having a new natural gas plant as part of its energy future. The Minnesota Public Utilities Commission voted 3-2 Monday to approve a proposal for a natural gas plant that would be built across the border from Duluth in Superior, Wisc., despite objections from clean energy and ratepayer groups, as well as some large industrial customers that would receive power from the new facility. The Nemadji Trail Energy Center would be a joint venture between Minnesota Power and the Dairyland Power Cooperative in Wisconsin. If Wisconsin regulators approve the plan, the new power plant would produce at least 525 megawatts of electricity. Minnesota Power and its ratepayers would be on the hook for half the $700 million cost. Minnesota Power covers roughly a third of the state, mostly in the northeastern quadrant of Minnesota, from Little Falls in the south to International Falls in the north and over to Duluth and up to Canada. Its customers include large taconite mines and power plants. PUC regulators heard final arguments in the case earlier this month. Commissioners also decided Monday that the plan did not need to undergo additional environmental analysis, a decision that paved the way for its approval vote. • Previously: Does Minnesota need natural gas to transition to renewable energy? "It's highly unlikely that Minnesota Power is going to have a gas generation option at a lower cost than this one," argued Commissioner Dan Lipschultz, who voted in favor of the natural gas plant. "You have a unique partnership opportunity with a cooperative utility. You have existing transmission and firm gas infrastructure already in place. Because of all that, you can provide the economies of scale of a 500-megawatt plant, but Minnesota ratepayers only have to pay essentially half the cost," he said. Minnesota Power has been rapidly adding wind, solar and hydro power to its system. In 2005, the utility generated 95 percent of its electricity from coal. Now, 30 percent of the electricity it produces comes from renewable sources, mainly wind, with a goal to hit 44 percent by 2025. But like many utilities, Minnesota Power has argued that reliability is important and that renewable energy needs backup. "When you add this much renewable energy on to your system, and you have plans to add more, you need to make sure you have something to fill in the gaps," said spokesperson Amy Rutledge. But attorneys for several of the larger companies Minnesota Power serves — ArcelorMittal USA, Blandin Paper Company, U.S. Steel Corp., and others — joined environmental groups and consumer advocates this summer in arguing that the proposed plant isn't needed, and that the demand for electricity could be met by other, less expensive means, like renewables, or efficiency investments. And in a non-binding recommendation in July, an administrative law judge concluded that Minnesota Power did not demonstrate the gas plant is in the public interest. "If there was ever a record on which the commission would deny something the utility had requested, this would be a record on which to do so," said Leigh Currie, climate and clean energy program director for the Minnesota Center for Environmental Advocacy. Currie said clean energy groups may have taken a different position if the new natural gas plant was proposed to replace existing coal-fired power plants. While she acknowledged that Minnesota Power is retiring 700 megawatts worth of coal generation, she said the utility is not committing to shut down any additional coal resources, including two generators that together produce about 1,000 megawatts at its Boswell power plant in Cohasset, Minn.
"There are much better investments to make in our future energy system than an investment in another large fossil fuel plant," Currie said. Minnesota Power's Rutledge said the utility would study and analyze its entire fleet, including the two major coal generators at Boswell, as part of its next integrated resource plan. The commission voted to extend the deadline of that plan one year to Oct., 2020. Groups are also concerned the new plant could raise electricity rates for the utility's customers. "Unfortunately, Minnesota Power customers will likely face more than $350 million in new costs for an investment that the utility could not prove it needs," said Annie Levenson-Falk, executive director with the Citizens Utility Board. Wisconsin regulators still need to approve the proposed power plant and complete and environmental review. 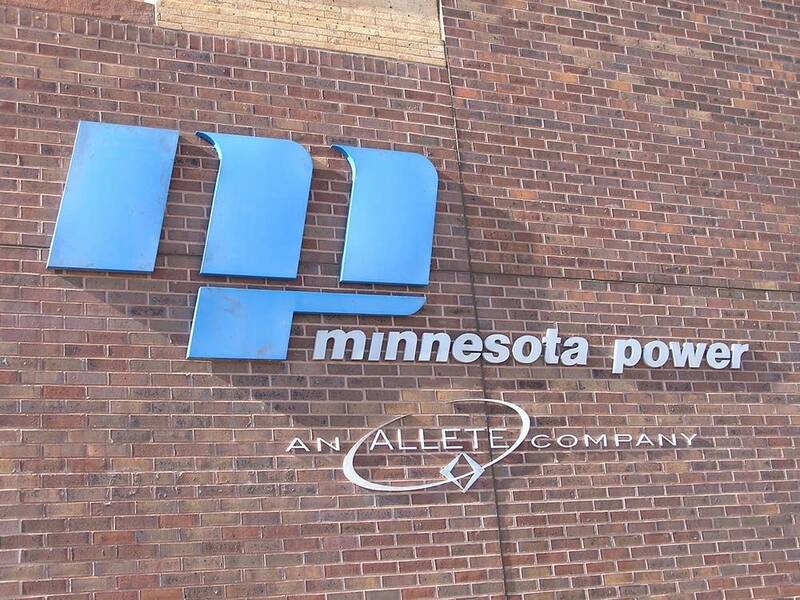 Minnesota Power hopes to have the plant online by 2025.